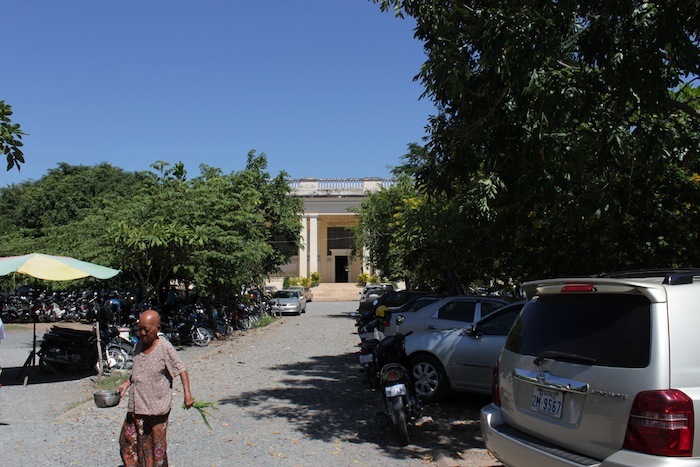 Forget what the guidebooks and online advisories say. 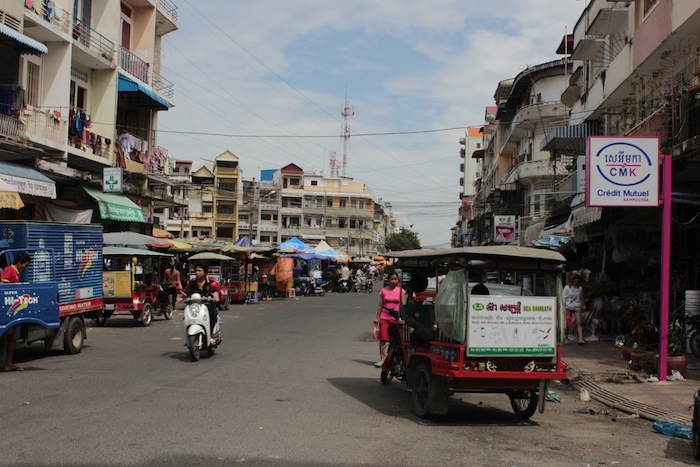 Phnom Penh’s architecture and cityscape is breathtaking, particularly in and around the city centre, huddled along the banks of the Ton Le Sap River. 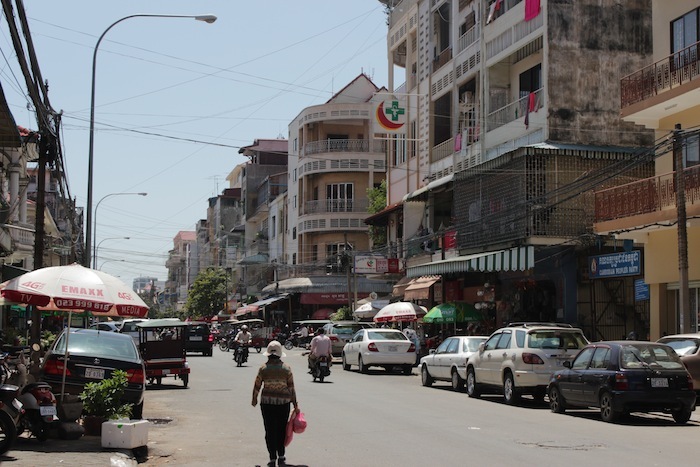 Phnom Penh is also immensely walkable. 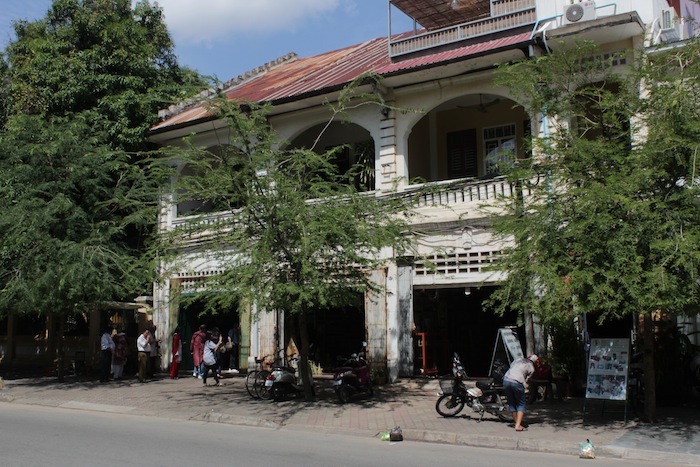 In fact, walking is highly recommended, if only so one can be immersed in the bustle of daily life, and admire the most beautiful and intriguing buildings from the best vantage point possible – the street. 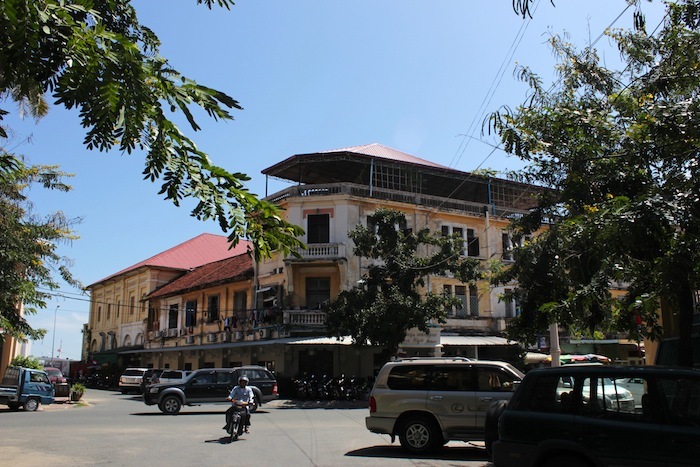 Start off the day at Raffles Hotel Le Royal in the north of the city centre, once the French colonial quarter, and head east towards the Ton Le Sap river. 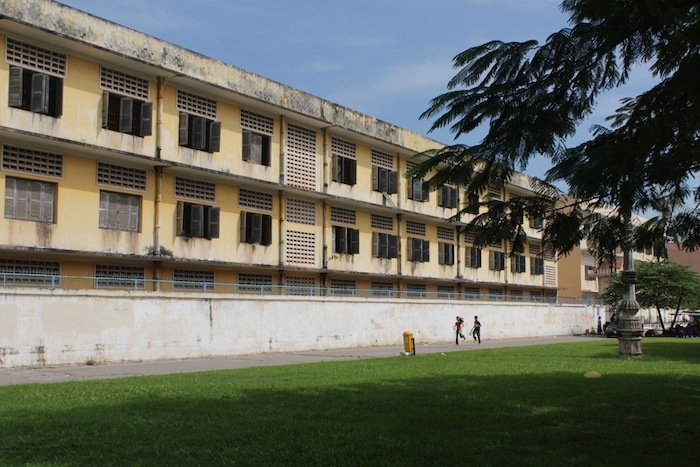 Admire the colonial-era civic and educational buildings that still stand on Streets 92 and 96. Turn right on Street 13 and marvel at the wedding-cake architecture of the Post Office building, and the adjacent Van’s Restaurant. 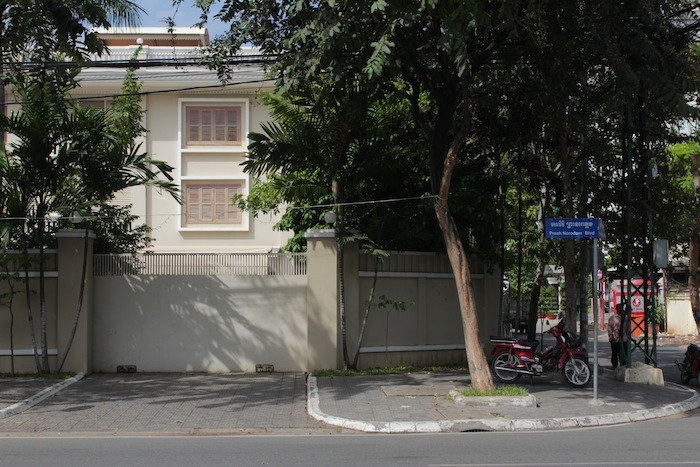 Head back west along Streets 102 and 106, along a narrow park lined by French colonial villas on one side and 1960s apartments on the other. Dive into the fray. 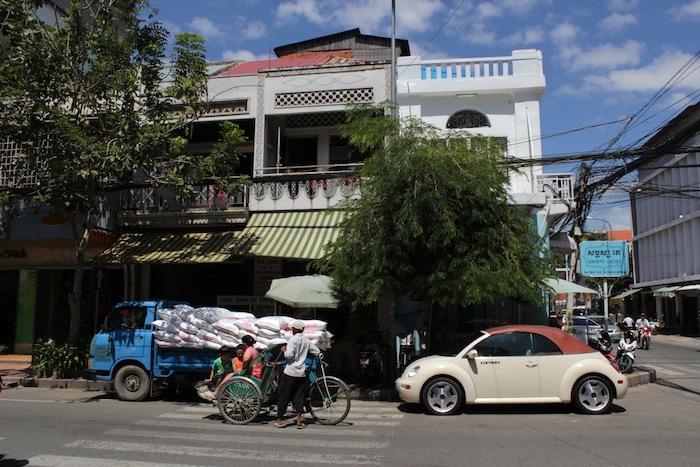 Explore the area bounded by Streets 13 – 51, and Streets 106 – 178. 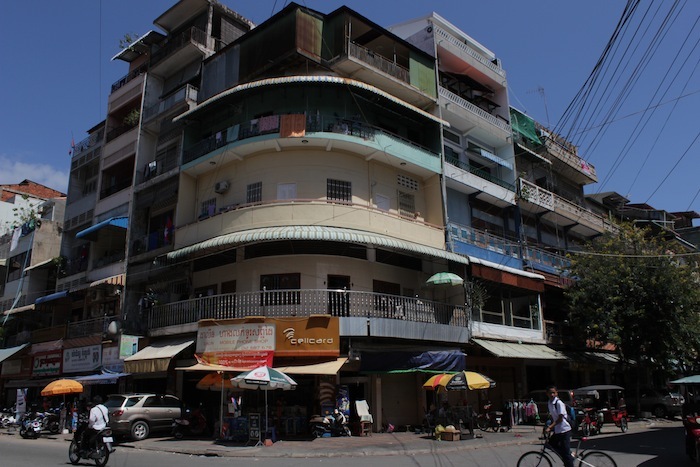 This is the heart of commercial Phnom Penh and also where the intrepid photographer may find the greatest concentration of those 1930s to 1960s style high-rise apartments that characterise Phnom Penh’s streetscape. The city oozes a kind of retro character here, feeling not unlike what Hong Kong or Singapore might have felt in the ‘60s. 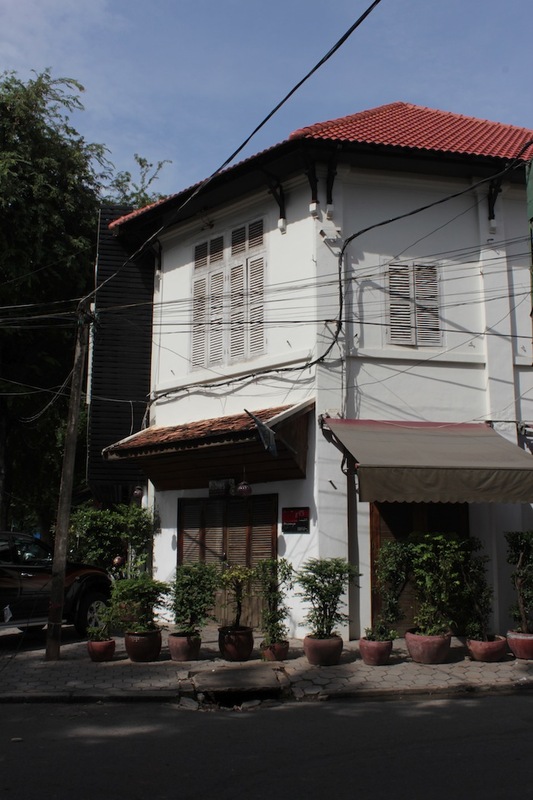 Head towards the Foreign Correspondent’s Club on Sisowath Quay and Street 178 for lunch, and to soak in a delightfully laidback, period environment. 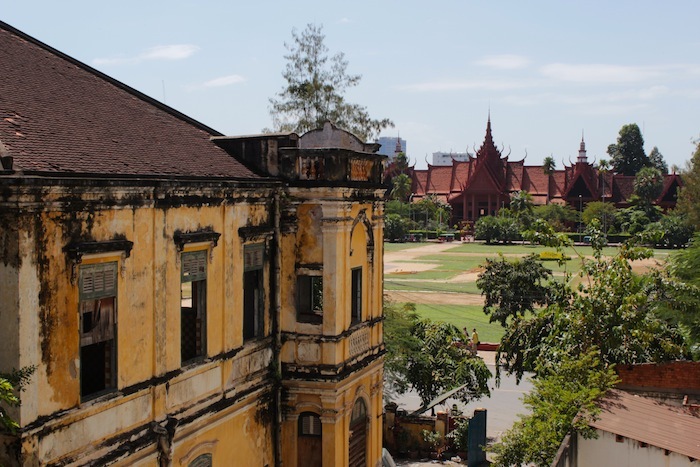 There is a stunning view from the back of the restaurant of the National Museum, built in 1920 to a design by Georges Groslier, who became the director of the Museum. 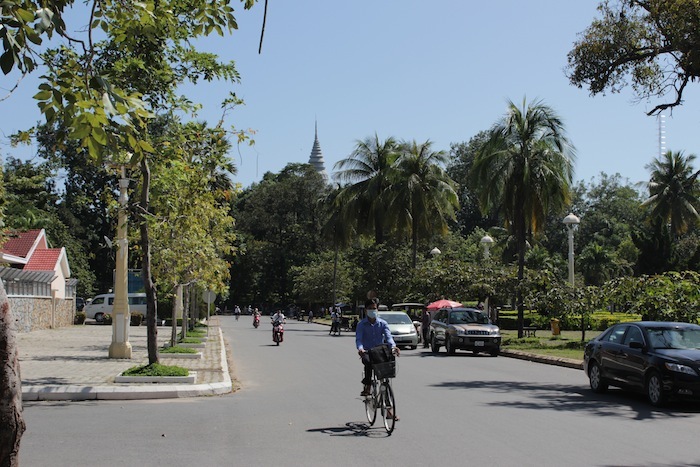 After lunch, head towards the Independence Monument on Sihanouk and Norodom Boulevards. 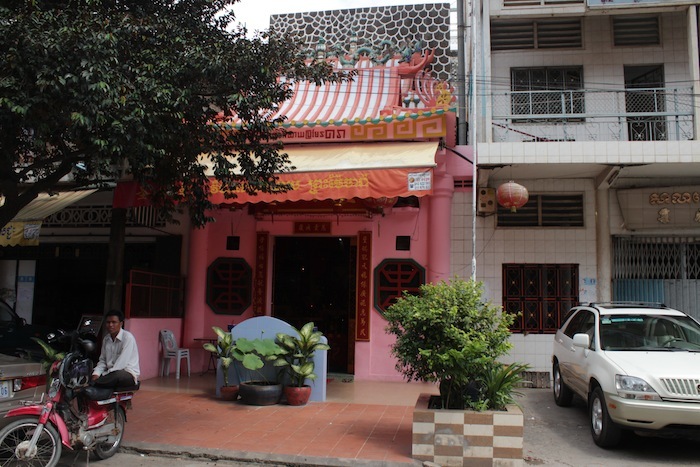 Along the way, get lost in the streets flanking the Royal Palace, playing host to cafes and boutiques housed in colonial-era shophouses. 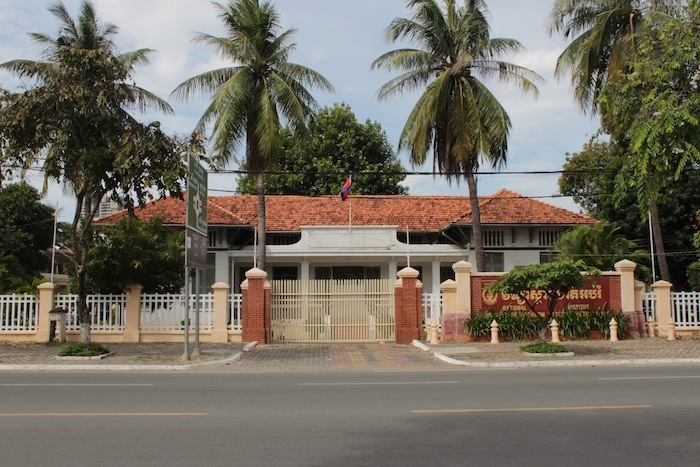 At the Independence Monument, about-turn and head north leisurely along Norodom Boulevard to see some of the most magnificent French colonial villas in the city, sequestered behind high walls and lush shrubbery, and now housing Government institutions and Foreign Embassies. 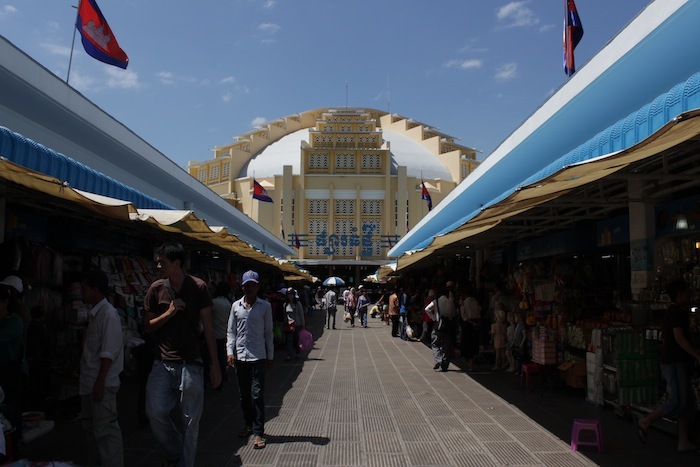 Take a left on Street 130 through some more ‘60s apartments towards the surreal, space-ship like apparition that is the Psar Thmei, or Central Market – an art deco monument built in 1937. Spend an hour or so leisurely admiring the architecture, and the dizzying array of goods available. 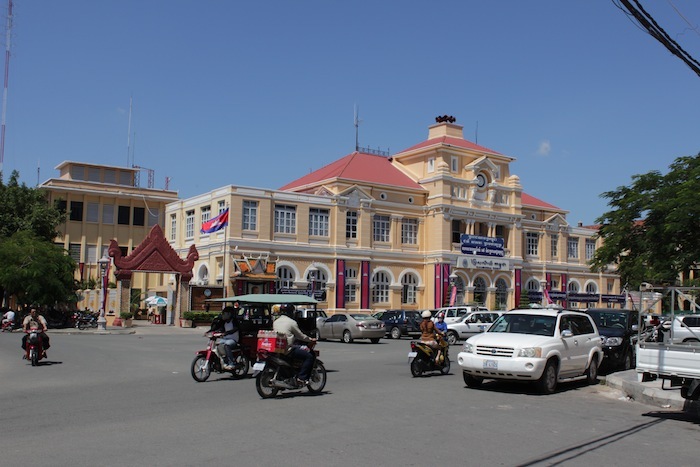 Finally, take Street 120 Northwest towards our last stop – the magnificent Art Deco Phnom Penh Railway station – before heading back to the Hotel Le Royal for rest and a cold drink at the famous Elephant Bar. 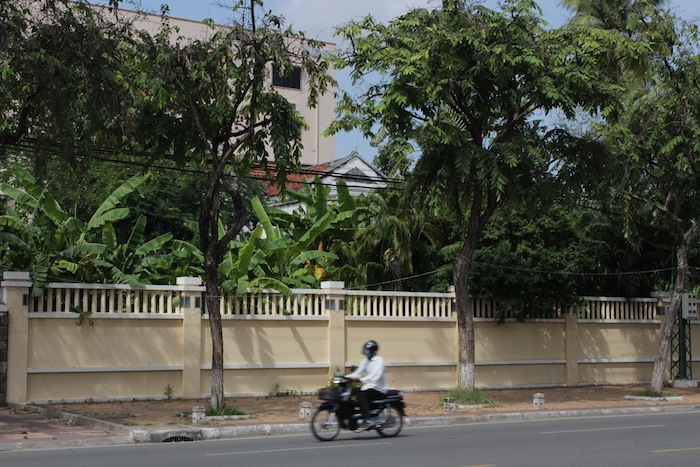 This gallery captures about forty shots of villas, apartments and streetscapes in Phnom Penh. This is a mere the tip of the iceberg and doesn’t even begin to capture the scale and proliferation of historic architecture in the city. 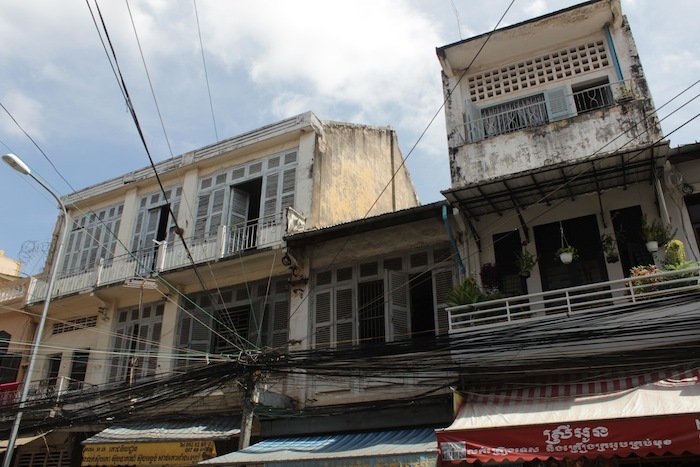 In my opinion, a more delightful and serendipitous architectural walking tour couldn’t be had in any other city in Southeast Asia. 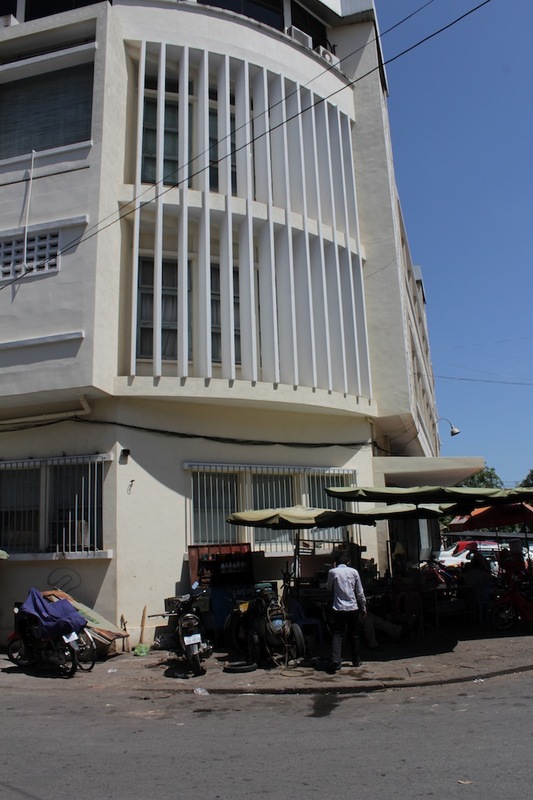 National University of Management, Rue 96, across from Hotel Le Royal. La Bibliotheque Nationale, Rue 92. 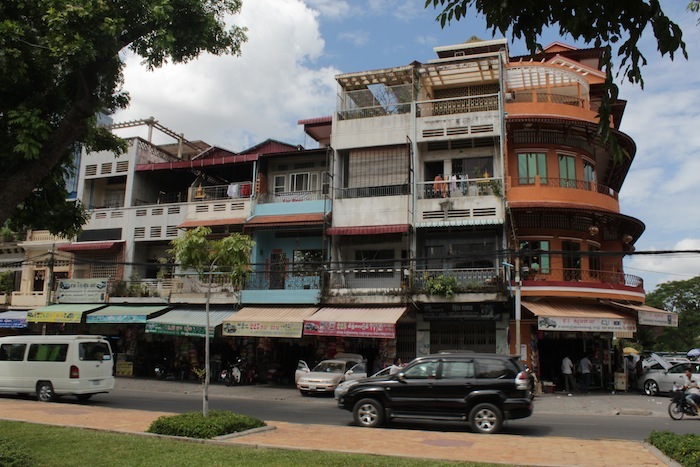 Wat Phnom, seen from along Rue 92. 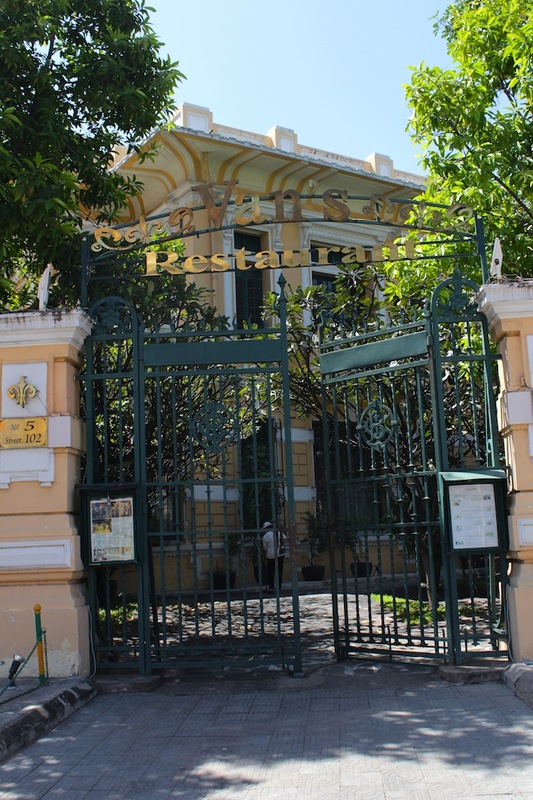 Lycée Française Renée Déscartes, Rue 96. 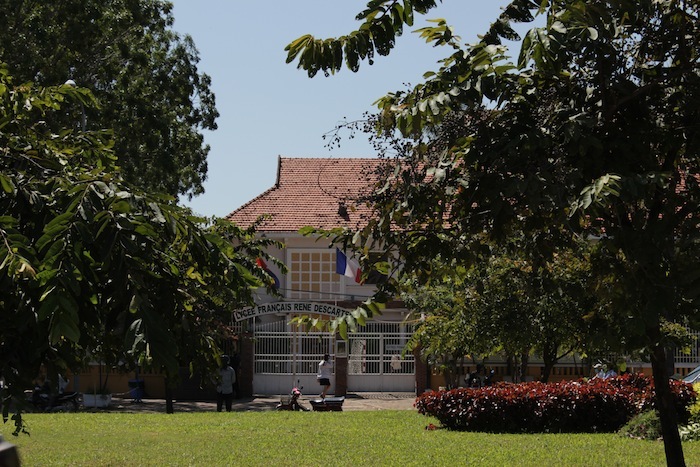 Still the city’s elite high school, where the rich send their children to receive a French education. Street Junction at the edge of Post Office Square. 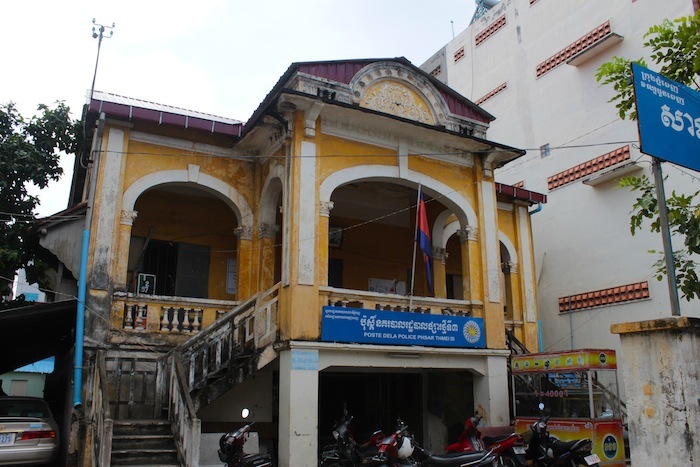 The Post Office, built in the 1880s, on Post Office Square. To the left of it is the Central Police Station (1910). Van’s Restaurant, Rue 102, serves impeccable French cuisine in a gorgeous, period setting. Highly recommended for dinner. 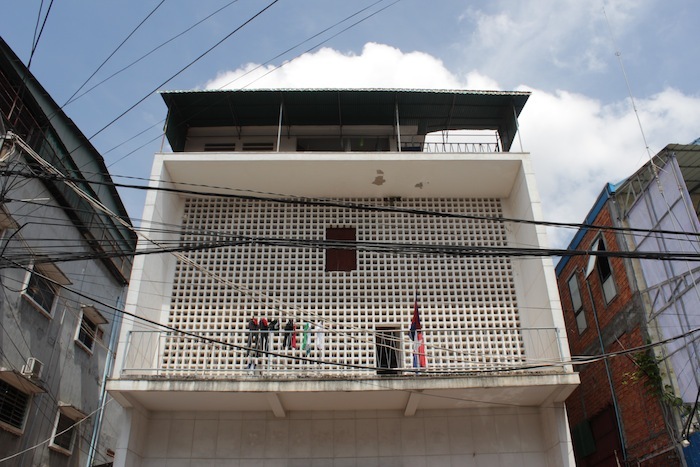 Diving into the fray: 1960s apartments. 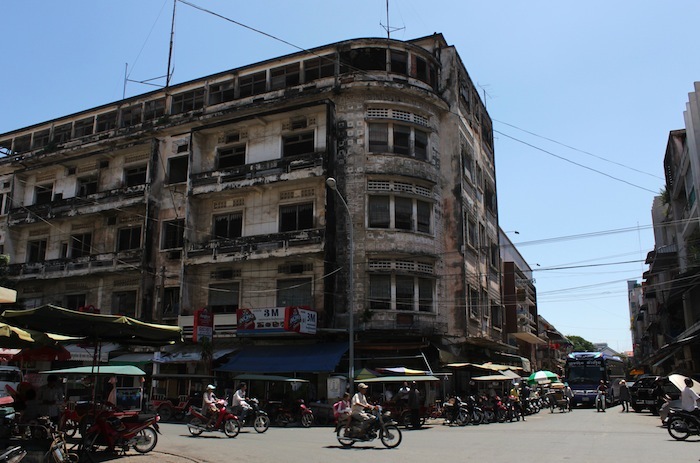 The former Hotel International, Rue 13. 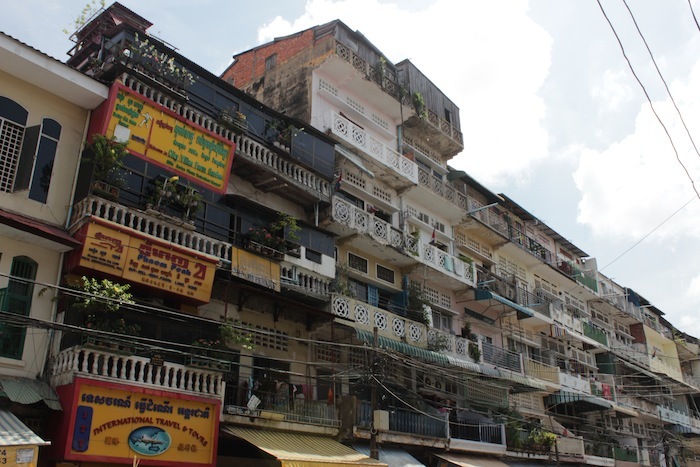 Classic Phnom Penh apartment landscape. 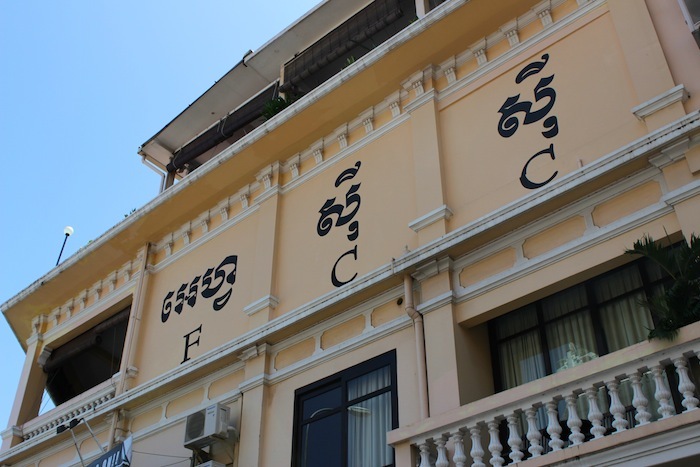 The Foreign Correspondents Club, Sisowath Quay. 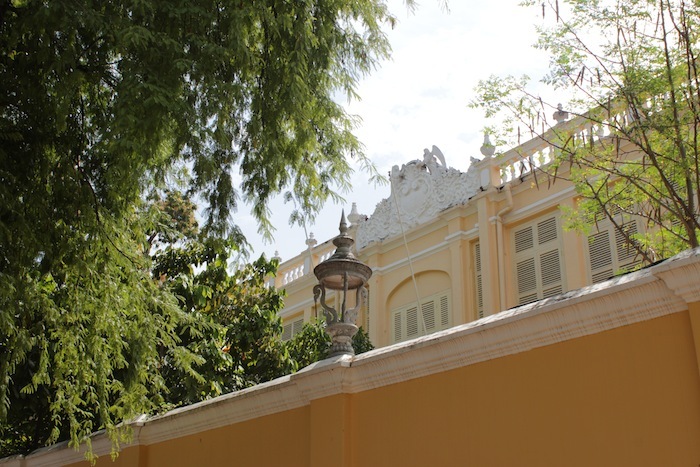 View from the FCC of a derelict Colonial Villa in the foreground and the National Museum (1920) in the background. 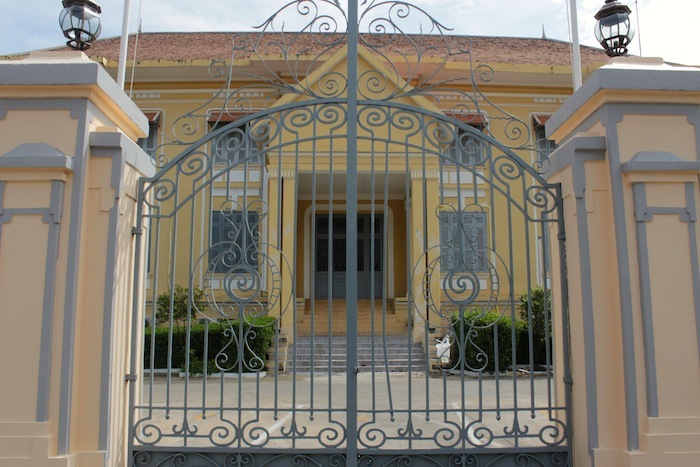 European colonial-style villas within the compounds of the Royal Palace. 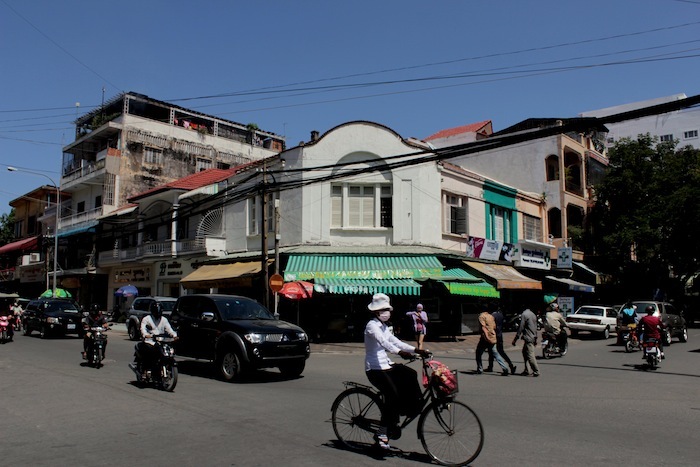 Colonial era structures and shophouses in the vicinity of the Royal Palace, housing cafes, boutiques and boutique hotels. 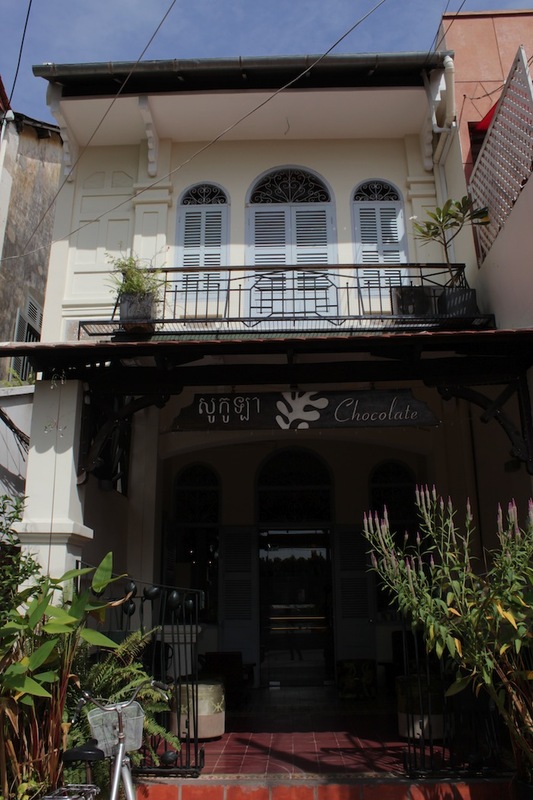 Café in colonial-era shophouse, vicinity of the Royal Palace. 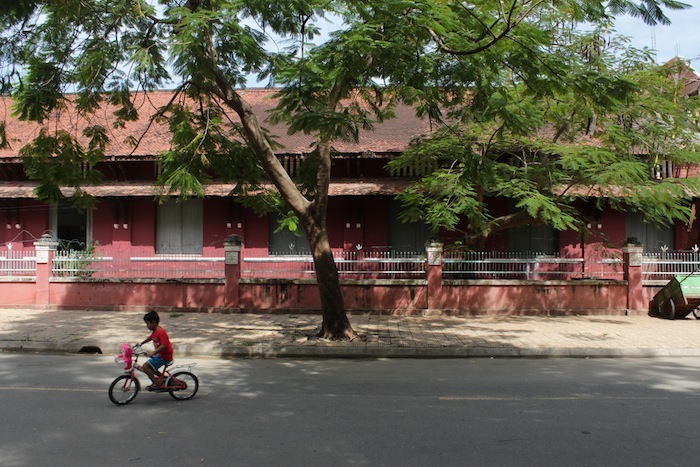 Children playing along colonial-era facades, vicinity of the Royal Palace. 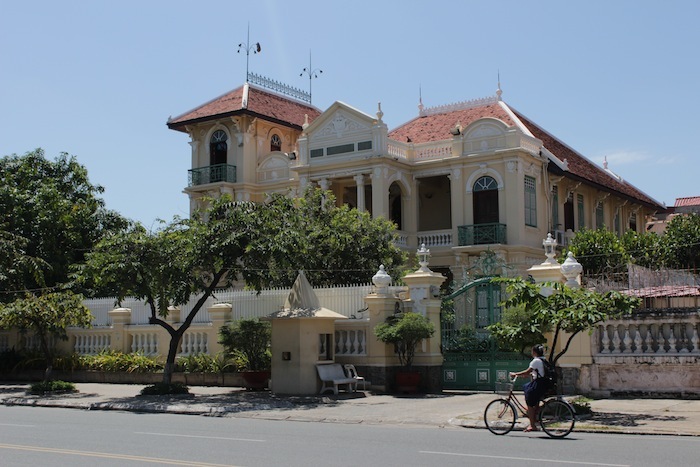 Colonial Villa, Norodom Boulevard. 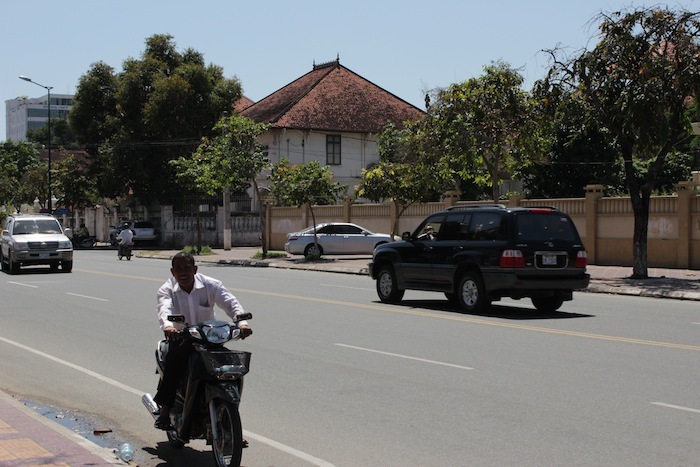 And a smiling motorcycle taxi driver asking if I didn’t need a ride. 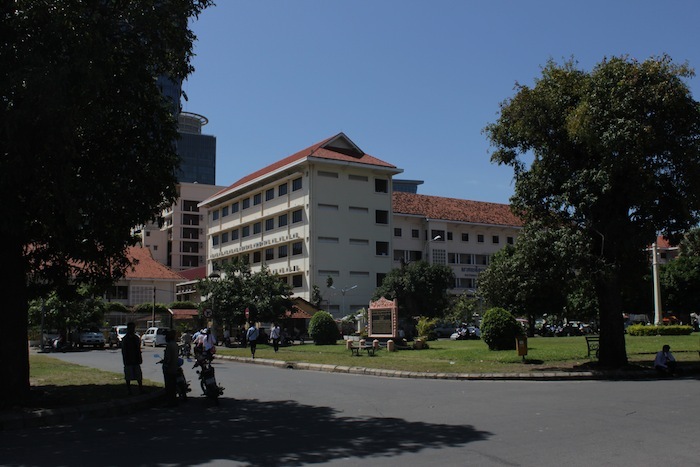 Ministere de l’Education, Norodom Boulevard. 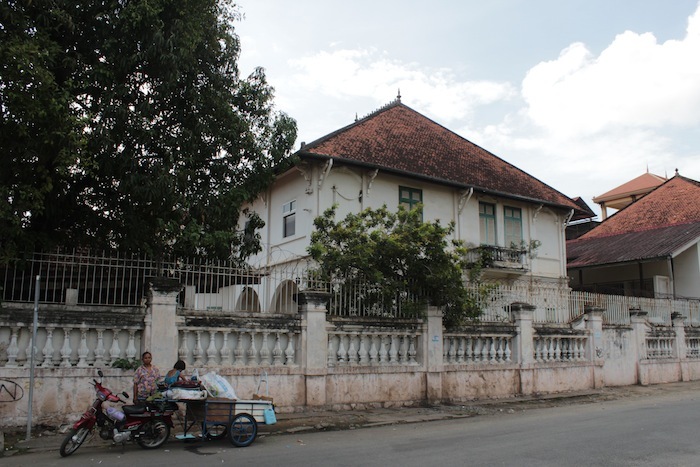 Colonial Villa, off Norodom Boulevard. 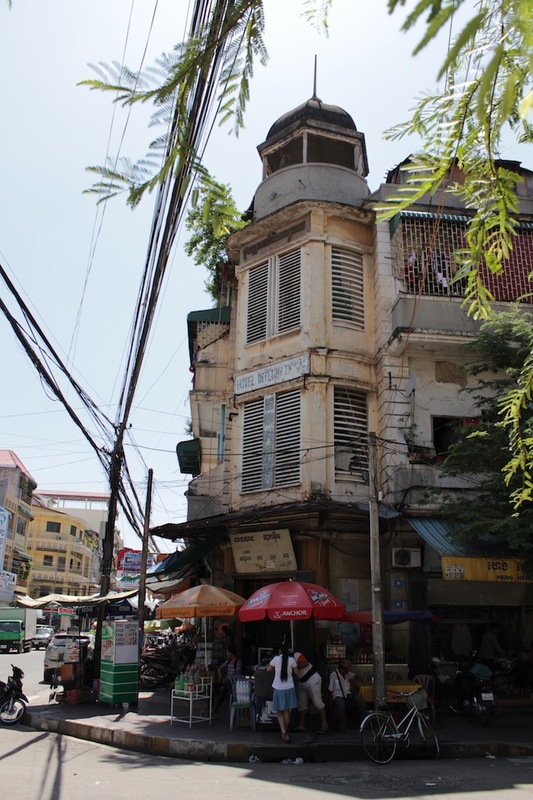 Poste de la Police Phsar Thmei, Rue 174. 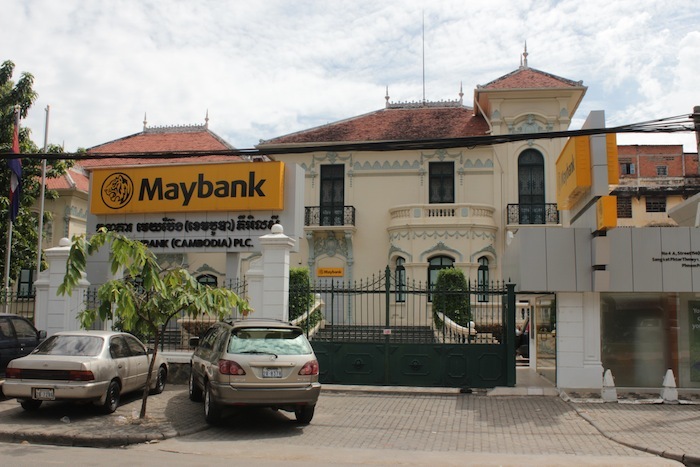 Colonial Villa, now Maybank, Rue 108. This is one of the most beautiful. The surreal Art Deco vision of the Phsar Thmei. 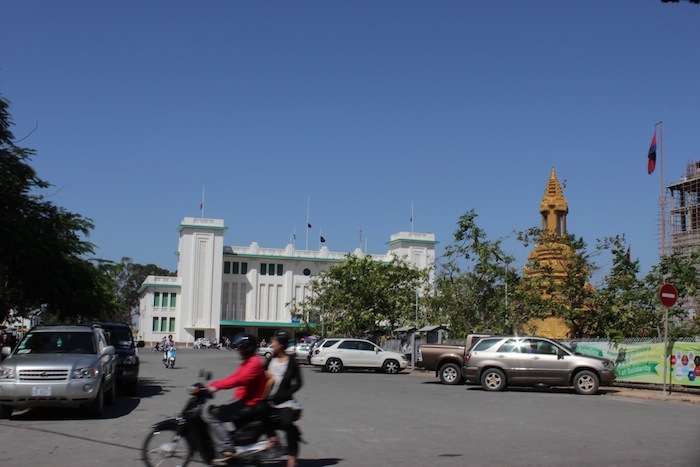 Phnom Penh Railway Station (1932), another Art Deco landmark. Back at Hotel Le Royal: the view from my balcony onto rue 92 and 96. 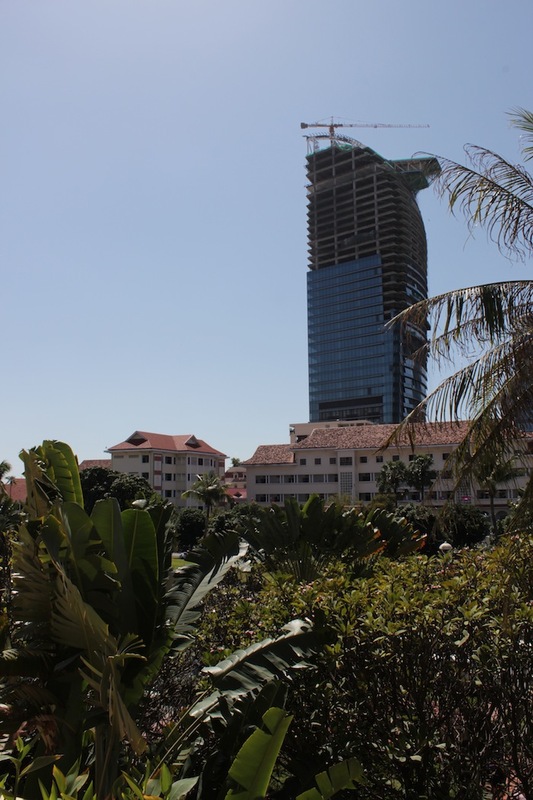 In the distance is the sign of the times: the Vattanac Building, one of Phnom Penh’s spanking new skyscrapers. Gallery | This entry was posted in Art & Architecture, Cities & Regions, Landmarks & History, Photography and tagged 1960s apartments, Art Deco, Cambodia, Colonial Architecture, Norodom Boulevard, Phnom Penh, Phnom Penh Architecture, Street Photography, Streetscapes, The Grand Tour, The Grand Tour of Southeast Asia. Bookmark the permalink. Thank you much for your interesting pictures and comments!